What a great tribute to a truly great man. 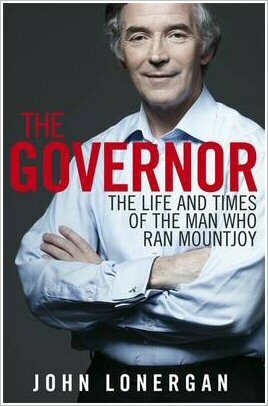 I have heard him being interviewed during his time as Governor of Mountjoy and couldn't help being impressed by his calm and measured manner. Thank you, thank you. What a great piece and I am going to get this book. beautifully written piece B, with a great sentiment, Chris P. S.
That's so sad to be reminded that there are so many 'broken' people being held behind bars when they really need help… but how to help? It makes you feel that society is becoming overwhelmed. I also find the death penalty very hard to even think about. I've been playing ostrich, turning the radio off every time they mention Troy Davis. Brilliant piece and I agree that it's a wasted opportunity that he didn't enter the Presidental race. We'll have to convince him to run next time round. He knows that he may have made a difference to the lives of those who were in his care during his long tenure in the country’s most infamous jail. The Governor gives a unique insight into modern Ireland.